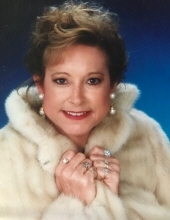 Mrs. Gail Hunnicutt, age 64, of Aragon, GA passed away Thursday, March 28, 2019 in a Rome medical center. She was born in Rockmart, GA on August 9, 1954, a daughter of the late James Daniel (J.D.) Baines, Jr. and the late Lena Mae Millhollan Baines. Gail lived all of her life in the Rockmart and Aragon area where she worked for Dr. Sangmalee. She loved her dogs, Blondy and Bella and enjoyed spending time on her phone talking to "Siri". She was of the Baptist faith. In addition to her parents she was preceded in death by two brothers: Jackie Baines and Ricky Baines; and sister, Patricia Coker. Survivors include her three sisters: Gloria Crumley, Shirley Waits and Brenda Bowman, all of Aragon; brother, Wayne Baines, Rockmart; and a number of nieces and nephews. Memorial services will be held Saturday, March 30, 2019 at 5:00 pm in the Lake View Baptist Church with Rev. Eddy Hughes officiating. The Alvis Miller & Son Funeral Home & Crematory of Rockmart is in charge of cremation services for Mrs. Gail Hunnicutt. To send flowers or a remembrance gift to the family of Gail Hunnicutt, please visit our Tribute Store. "Email Address" would like to share the life celebration of Gail Hunnicutt. Click on the "link" to go to share a favorite memory or leave a condolence message for the family.